AP EAMCET 2018 is an entrance exam for engineering, medical & agriculture courses for the admission in the state of Andhra Pradesh. It is conducted by Jawaharlal Nehru Technological University Kakinada on behalf of APSCHE. It is a state level entrance exam, and a separate exam TS EAMCET will be held for Telangana. JNTUK conducts Engineering, Agriculture and Medical Common Entrance Test (EAMCET). AP EAMCET Application process will be started on 28 February 2018. Scroll down to get details on AP EAMCET 2018 application form, eligibility criteria, dates, exam patterns etc. AP EAMCET is conducted by JNTUK. 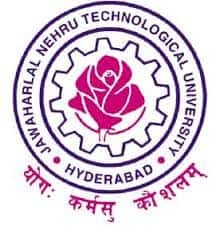 Jawaharlal Nehru Technological University Kakinada is one of the biggest technological institutes in the country. This Examination is essential for the admission into various professional courses offered in the University/ Private Colleges in the State of Andhra Pradesh. AP EAMCET is conducted for the admission into the courses mentioned below. Engineering (B.Tech) – Bio-Technology, Dairy Technology, Agriculture Engineering, Food Science, and Technology. BSc Agriculture, BSc Horticulture B.V.Sc. & A.H. B.F.Sc. Engineering Courses: The candidate should have completed 16 years of age as on December 31 of the year of admission. There is no upper age limit. For Agriculture and Medical Courses: The candidate should have completed 17 years of age and should not be more than 22 years (25 years for SC/ ST) of age as on December 31 of the year of admission. Candidates should have passed or appeared in Qualifying Exam with Biology, Physics, and Chemistry as optional. Candidates should have passed or appeared in Qualifying Exam with Biology, Physics, and Chemistry as optional, along with the bridge course exam in Mathematics. Candidates should have passed or appeared in Qualifying Exam with Physics, Chemistry, and Biology as optional. Should have passed or appeared in the final year of the diploma examination in pharmacy course. Candidates should have passed or appeared for the final year of Intermediate Examination with Mathematics, Physics, and Chemistry as optional or related vocational courses in the fields of Engineering and Technology. Candidates should have passed or appeared in the final year of the Diploma examination in Engineering. The AP EAMCET application process will start on 28 February 2018 and the candidates can fill the application form through online mode only. The candidates are advised to ensure their eligibility before applying for the AP EAMCET. Candidates have to apply through online mode by visiting the official website. After successfully applying the candidates can take the print out of the duly filled in AP EAMCET 2018 Application Form for future use. Candidates are not required to send anything via post related to Online Application form. It has to be submitted ONLY through ONLINE mode. Candidates do not have to upload any certificates. The EAMCET 2018 Application Form has to be submitted to the Invigilator during the examination after affixing a recent colour photograph duly attested by the Gazetted Officer or Principal of the College where studied qualifying examination. Attested copy of Caste certificate (in case of SC/ST category candidates only who have not provided the Caste Certificate Application Number during the Online submission). AP EAMCET Application fee for the Engineering as well as Agriculture and Medical are same. However, if the candidates want to apply for both Engineering and Agriculture, then he/she need to pay the double application fee. The amount of fee an individual has to pay is given in the table below. The candidates have to give (Rs 57.50) as a processing fee along with the application fee. The application fee mentioned in the table does not include the processing fee. For the candidates who have submitted their AP EAMCET application with late fee of Rs.5,000 and Rs. 10,000, the test centre will be allotted only at Kakinada. AP EAMCET Result 2018 is expected to be declared in May 2018. Once the AP EAMCET exam gets over, the candidates will be able to check their result shortly after on the official website of JNTU Kakinada. Candidates will be shortlisted on the basis of their performance in AP EAMCET 2018 conducted by Jawaharlal Nehru Technological University Kakinada on behalf of APSCHE. The candidates can also check their result by following the link given below. 75% weightage is given to the Marks Secured in relevant group subjects namely Mathematics or Biology, Physics, Chemistry of Class 12. Type of question paper: Objective type question with multiple choice. Marks Distribution: Each correct answer carries one mark. The AP EAMCET Exam will be conducted from 22 to 26 April 2018 (Engineering: 22 to 25 April 2018; Agriculture: 25 & 26 April 2018; Both Engineering and Agriculture: 24 & 25 April 2018). The candidates need to know the syllabus for the different subjects so that they get to know what they need to prepare. There are total five subjects a candidate needs to prepare for the AP EAMCET. The details of the contents of each subject are given in the table below. AP EAMCET 2018 Application Form - 2 Days Left! AP EAMCET Application Form Correction 2018- Started!